Festivals can be a great way to experience local customs, traditions and flavor. Some of the most colourful festivals of 2012 will delight you with more than enough entertainment, food and festivities to make visiting any of them a memorable experience. Here are ten colourful festivals you will not want to miss this year. Some festival cities offer special travel packages specially designed to give guests more bang for their buck. It’s never too early to start planning! Journey to Jaipur, the capital of the desert lands of Rajasthan, for Holi. The annual festival is the least religious of the Hindu celebrations. The festival is celebrated throughout India, but your best bet to enjoy the exhilarating experience of this festival is in India’s major cities. Colour is a big part of the festival in every way from the food to the decorations. The festival serves to welcome spring and celebrate several notable events in Hindu mythology. 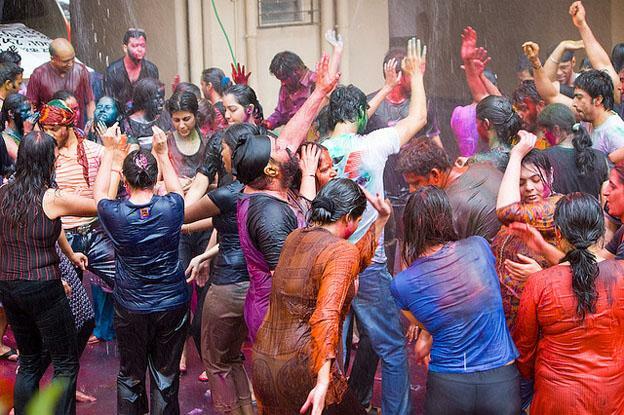 The real colour in this festival comes from the tradition of spraying friends and family members with coloured water and powder and really let loose. Add to that public bonfires and it is to see why this festival is such a memorable experience. 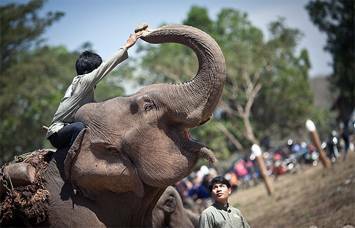 Expect to see colourful processions of elephants at this annual Laos festival in the country known as the Land of a Million Elephants. The goal of the festival is to raise awareness of the importance of protecting the Asian elephant, which has played a part in the country’s culture for hundreds of years. The ceremonies associated with the festival are just as colourful and festive. Monk blessings and ancient Baci ceremonies only add to the diversity of the annual festival. Colourful native cuisine from locals is another big part of the events. Night markets and the Elephant of the Year contest round out the activities you need to see first hand to get the full experience of the Lao Elephant Festival. Tradition Day is considered the most colourful and popular of the many annual festivals taking place in Argentina. The festival features dances, competitions, folk music and bronco riding. The colourful part is the exhibitions of art and crafts from local merchants and artists. Some of the most popular items are handmade spurs and saddles. The festival has been described as Argentina’s unique take on a western theme focusing on horses, dancing and ceremonies involving traditional dress. The event is topped off with a lively parade through the streets where locals and visitors alike can participate or just observe. The annual festival, held in the county of Gloucestershire in South West England, has been an annual event for hundreds of years. The colourful part of this festival is in some of the costumes worn by participants along with some of the side festivities that local villagers present to guests coming to watch the events. The festival itself starts with a single roll of cheese down a steep hillside. Originally, this festival was just for village residents. Today, it is a top draw for people all over the world. While the cheese is rolled first, the actual winner of the contest is the person who arrives at the foot of the hill after numerous tumbles and twists. The winner is awarded the 7-8 pound cheese round as a prize. A colourful procession is just one of the fun little side events connected to this annual festival. And, yes, cheese samples are included. 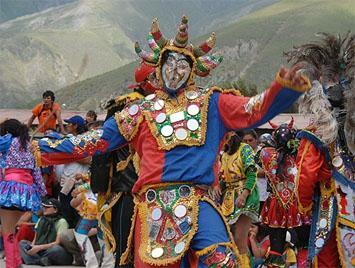 The annual festival in Peru includes street fairs, colourful dances, expositions and live music. The week long celebration marks the beginning of a new year. The festival itself is linked to a celebration originated by the Incas. Today, the festival is the second largest in South America. Only Rio’s famed carnival season ranks higher in terms of crowds and popularity. Additional colour can be found in the costumes worn by the actors to portray historical figures. The biggest honour, however, is being selected to be the Emperor of the Inca Empire and his wife. Local food and colourful custom crafts only add to the festive experience. The charming spa town of Digne-les-Bains in France comes to life every year with annual and colourful festival held in the region for more than 50 years. 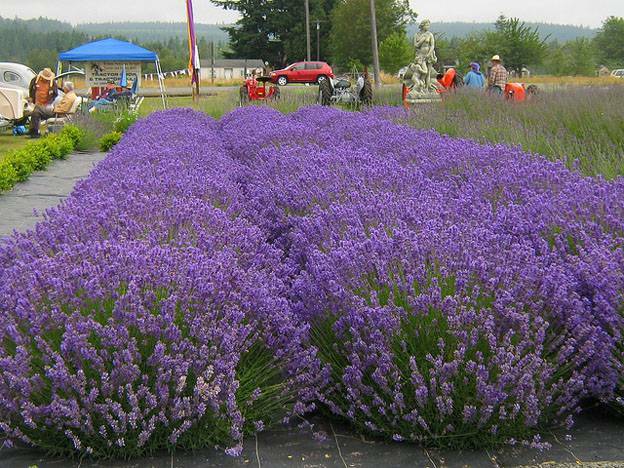 The festival is devoted to the abundant crops in the region and the multitude of colours found in the crops populating the fields in the Alpes-de-Haute-Provence region. Mix in colourful local gardens and regional customs, including rich food and wine and native attire, and it is easy to get drawn into the annual festivities. The town itself comes alive with colourful celebrations and parades with elaborate floats. A grand ball is a major attraction for those looking for a touch of class with their festivities. 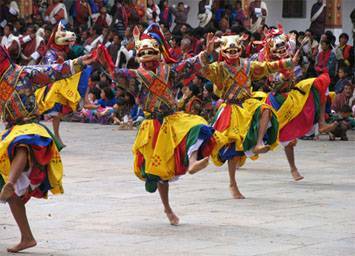 Taking place at a centuries-old temple in Bhutan, this annual Buddhist religious festival embraces the colours of the autumn season much to the delight of a crowd of thousands. Locals run through a flaming gate constructed of dry grasses with burning grass falling down as people dash through the giant opening dressed in colourful local costumes. Dancers cover their face for Tercham or the Dance of the Treasure and perform a ceremonial dance wearing a colourful mask and nothing else. Add to that rich traditional food and unique keepsakes sold by local vendors and you have an experience that you are sure to remember. 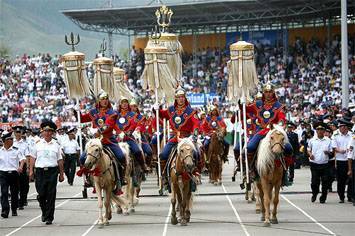 Celebrating Mongolia’s 1921 revolution that led to the country’s independence, this annual festival includes games and locals wearing colourful traditional garb. The games are meant to be a test of manhood for young men in the country. The “three games” — archery, wrestling and horse racing — are just as popular as soccer here, with spectators coming from around the world to witness the annual event. The real colourful part of the festival is the celebrations marking the country’s independence, which includes parades, dances and other local customs. More than a million visitors come from around the world for the annual three-day festival. The culmination of the event is a massive fireworks display with over 30,000 explosions lighting up the night sky. Add to that colourful costumes and live bands. Local traditions dating back hundreds of years, include writing down bad things from the previous year and burning the paper to symbolize letting go of the old and getting a fresh start in the new year. Other traditions include lentil dishes with 12 grapes representing each month and wearing a variety of lucky items, many of which tend to be bright and colourful. 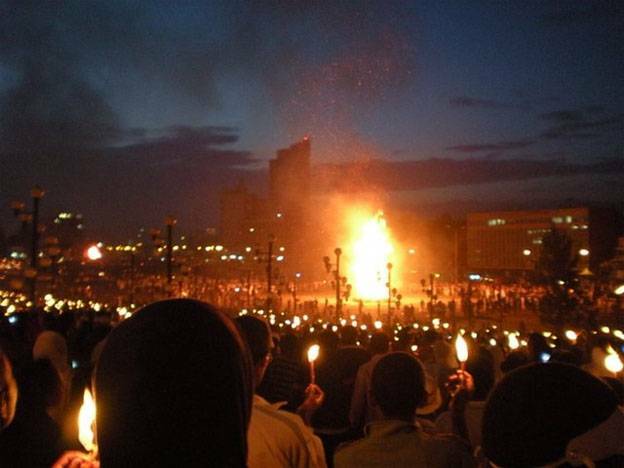 Meskel commemorates the finding of the True Cross in the fourth century. The cross is said to be the cross on which Jesus was crucified. According to the Ethiopian Church, the cross is still around, but hidden at a remote monastery. Considered the most colourful of Ethiopia’s Christian festivals, the annual event attracts thousands of visitors and locals to witness priests, parishioners and nuns sing, dance and bang drums while putting on a truly unique show to the delight of the crowd. The festival includes parades, dances, food, drink and a wide variety of activities for visitors of all ages. The colourful costumes date back hundreds of years. Meskel is definitely a memorable experience. Tom Demers the author of the “Ten colourful festivals to visit” is an avid blogger and frequent contributor to a number of sites, including Heating Oil Shopper, a leading provider of heating oil news and information such as heating oil prices in Massachusetts.